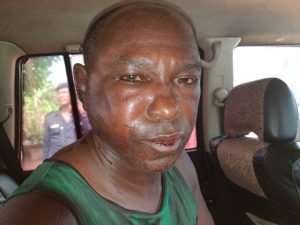 Bani Kafui Liberty, 56, is seeking justice in court after he was nearly lynched by some youth of Tsakpokope in the South Dayi District of the Volta Region. The angry alleged that Bani Kafui had a hand in the death of one Atsu Davor who was found lifeless behind his 'Liberty Hills Hotel' in Kpeve. “All 16 rooms of the Liberty Hills Hotel and it's beautiful ornamentals were destroyed by the mob,” Mr. Bani lamented.